Over 97.4 per cent of our region is rural and used for agriculture, and a large proportion of this occurs in remote areas, however only 24.8 per cent of the region’s population is identified as rural population (Queensland Government Statistician’s Office, 2015b) (Office of Economic and Statistical Research, 2012). Rural landholders are key on-ground sustainable land managers and have an understanding and strong emotional connection with the land. 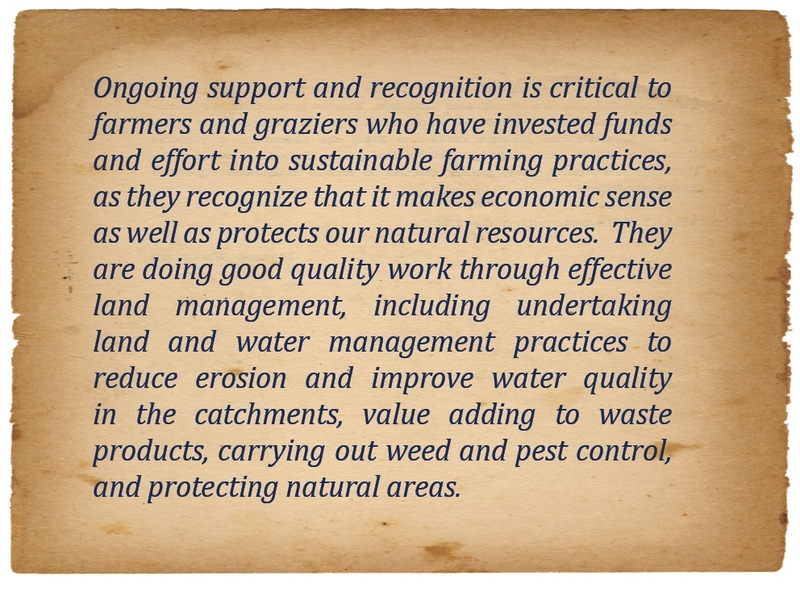 They have a crucial role to play in improving the condition of natural resources on their land, while improving long-term productivity and profitability. Research based on measures of resource-dependency and adaptive capacity, found that across the Monsoonal North area, social resilience is low particularly for graziers (Marshall, et al., 2015). Social resilience is defined as “the ability of social and ecological systems (such as cattle producers and rangelands that are mutually dependent on each other) to cope and adapt to change”. The research identified that most cattle producers are highly vulnerable to climate change, with only 16 per cent of producers considered to have higher levels of resilience to change. They tend to be younger, well networked, technology users, who manage larger businesses and feel a high level of responsibility for the future productivity of their land (Marshall, et al., 2015). Social media could help to promote communication between landholders and their communities. While communications technology has advanced, landholders and communities in our region’s remote areas continue to have difficulty participating in the national and global economy due to a lack of digital capacity. Indeed, significant areas of our region continue to have only rudimentary dial up services. Rural to urban migration continues to occur, with already isolated rural communities experiencing declining populations and increasing average ages. This trend is attributed to the lack of rural youth employment opportunities and timely succession planning (Bandaranaike, 2005). From a young age people within the rural community learn and develop experience and understanding of natural resource values and management. Maintaining this human resource and ensuring the intergenerational passing of knowledge is a significant challenge for future management of the majority of our region. The research identified that NRM groups were “well positioned to help communities thrive alongside improving their environments, and to also improve their capacities to deal with and adapt to major changes such as industry deregulations, economic downturns and natural disasters”. identify that improved resource condition leads to better financial performance and farm profitability. It is possible to sustain the land by increasing people’s confidence and capacity to adapt (Stokes, et al., 2010). If land managers have the capacity to adopt sustainable practices, pursue innovation and contribute towards environmental stewardship, they can better support the resilience of our natural resources, and in turn enhance their own wellbeing. Adopting sustainable agricultural practices in the region is strongly influenced by family, the local community and networks (Pahl, 2015). Trust and confidence in new practices often only occurs when other producers or trusted people in wider networks can give reassurance. Taking up innovative practices is also linked to increased levels of formal and informal training, and financial capacity, with the driver being financial sustainability and gaining knowledge (Greiner, et al., 2003). Industry, government and researchers have demonstrated that adopting long-term sustainable NRM practices correlates to long-term productivity and profitability (O’Reagain & Bushell, 2011), (McIvor, 2012) (Poggio, Page & Grieken, 2010) (Department of Employment, Economic Development and Innovation, 2010). A key goal is to establish landholder confidence in this information and provide them with the support to adopt new practices. Bandaranaike, S. (2005). Crisis & Change: Engaging Rural Communities In the Sugar Industry. Department of Employment, Economic Development and Innovation. (2010). Economic analysis of ABCD cane management practices in the Burdekin Delta region. Greiner, R., Stoeckl, N., Stokes, C., Herr , A., & Bachmaier, J. (2003). Natural resource management in the Burdekin Dry Tropics: social and economic issues. Marshall, N. A., Capon, S., Curnock, M., Edgar, B., Race, D., and Scherl, L. M. (2015). A handbook for enhancing social resilience in the Monsoonal North of Australia. Office of Economic and Statistical Research. (2012). Bowen and Galilee Basins Population Report 2011. O’Reagain, P., & Bushell, J. (2011). The Wambiana grazing trial Key learnings for sustainable and profitable management in a variable environment. Pahl. (2015). Better beef and reef Staged framework for property investment that supports pastoralists improving herd management and infrastructure. Poggio, M., Page, J., & Grieken, M. (2010). Paddock to Reef Monitoring & Evaluation Economic analysis of ABCD cane management practices for the Burdekin River Irrigation Area. Queensland Government Statistician’s Office. (2015b). Queensland Regional Profiles: Workforce Profile for BDT region (Burdekin Shire, Charters Towers Regional Council and Townsville City). Stokes, C. J., Marshall, N. A., Howden, S. M., & Nelson, R. N. (2010). Enhancing adaptive capacity. In: Adapting agriculture to climate change: preparing Australian agriculture, forestry and fisheries for the future. University of Queensland. (2015). NRM groups vital for community resilience.